Hello, Aisha please tell us a bit about how you came to start Hills and West. From the beginning my mission has been simple – do what I love, create exceptional pieces, inspire and make people happy along the way. When living a life travelling as a director for a tech company, I was in the search for the perfect backpack for work. It needed to be practical, versatile, elegant, timeless and large enough to carry a computer, gym gear, notebook, camera, glasses and other daily must-haves. With little success on my backpack search, I saw a gap in the market for beautiful, practical work accessories and journeyed to Arsutoria in Milan to learn directly from the artisans themselves. When I returned to Australia, in 2014, I knew my path and resigned from my corporate job to start my all-Australian made label, Hills & West. The ethos was to create local, lifestyle accessories cut from durable luxe materials, using old – school craftsmanship and sell these pieces with an attainable price point. I really believe in quality craftsmanship, minimalism and smart design for a purpose: always aspiring to make luxury more attainable. Three years on, we have five collections; 22 styles, totalling 37 different pieces, in addition to our ‘Home’ collection, which has a lot of beautiful yet functional pieces in the pipeline to help make your house into a home. I absolutely love what I do and the people I have collaborated with along my journey. Really, I feel so lucky to do what I love. What has been the most crucial part of the journey for you, from taking the idea from concept to a thriving business? The people. My team, the artisans and suppliers I work with are just all such wonderful and supportive people. I would have never made it this far without their guidance, challenges and feedback. In the early phase of starting Hills & West, and even today, my design process has involved asking people LOTS of questions to ensure the perfect product is developed. The entire journey of creating beautiful pieces, from concept to final, is immensely rewarding – this entails a lot of research and developing strong relationships with the people who help me along the way. Also my customers (many of which have been gorgeous ambassadors) sporting Hills & West pieces and sending their friends and colleagues to my website. Their feedback and emails are what make me get up super early every morning and keep creating. Keeping true to your purpose. Every bag goes on a development journey. From the inception of a need to the conceptualising of a design, the prototyping of a product (you can tell I come from a tech background), to the many iterations to simplify and strengthen, until the final piece is ready to be worn and loved. Keeping true to the purpose of your product and always staying true to your ethos is important. I may gain higher margins it I produced my bags in China however the quality would not be as good, I would not be supporting local business and I would not be able to be hands on with the whole production process. This would be all against what I believe in so I would rather build my business up slowly locally than give in and go offshore. Creative failure. And of course, being creative in everything, even with your failures. Embracing the challenges of starting your own business, keeping your head up and seeing the pitfalls as learnings, all allow you to adapt and make smarter decisions for the future, which in turn, will optimize the entire process. It is so satisfying to see the business grow year on year and know that you may have had some challenges but have overcame them all. What inspired this most recent collection? Our Lunar Collection was born out of the desire to benchmark the last 3 years of Hills & West, a testament to our circular logo and ethos. We believe in creating products of value that are minimal, functional, stylish and built to last. We believe in achieving better design through simplicity of form, space, materiality, detail, and with this collection, more focus on colour than ever before. In typical Hills & West fashion the Lunar Collection was designed with the intent of being seasonally and environmentally transcendent — to be the perfect accessory for any time of year or environmental setting you find yourself in, whether it be your work desk or dinner table. Drawing inspiration from the moon –– that continuously changes from full to new and is illuminated by the sun. The collection features multi-way variations of two unique styles, the Lunar Max and Lunar Mini. The Lunar Max with red, white and black lightly pebbled Italian leather; whilst the Lunar Mini’s are black crocodile print quality leather and pebbled tan Italian Leather. Mix and Match your Lunar Max with interchangeable straps and top folds. 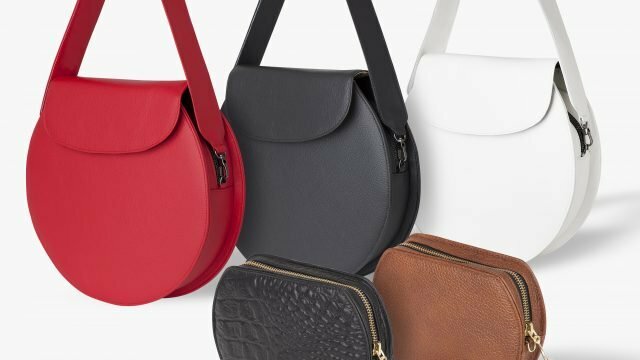 Wear on your shoulder, as a crossbody or backpack. 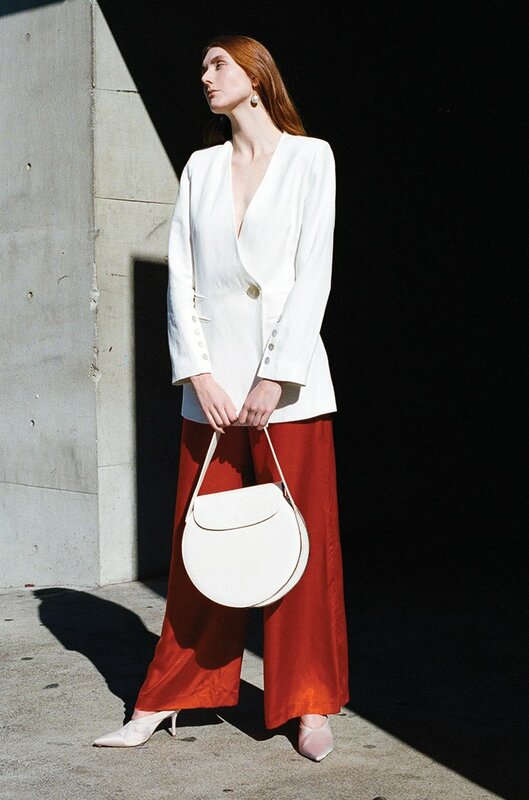 Lunar pieces are available in; black, white and red with black hardware. Lunar Mini’s are available in black and tan with gold hardware. What advice would you have for others who are trying to get into the luxury goods space? 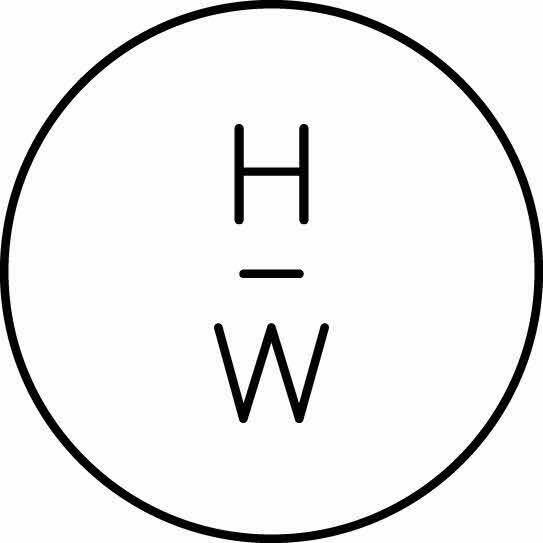 Know your customer – Have a clear idea of your customer and make sure you are addressing a problem – Hills & West is for the modern busy woman or man that wants something that is transeasonal, appreciating handcrafted and local. I interviewed hundreds of potential Hills & West men and women and just asked the questions so I could really refine my product and messaging. Find your sweet spot – what is your niche – point of difference. Hills & West is all about minimal, quality, and versatile at an attainable price point. Each bag has a point of difference. Build a strong foundation and stick to your values. If takes time, especially if you are building it yourself with a limited budget. But stick to your ethos and values. I would rather spend the money building a better product than paying an influencer to wear it once. Never give up. If you have passion, perseverance and integrity you can only move forward, even if it feels like some days you are taking more steps back. And finally, what do you think 2019 will bring us in terms of trends – how will Hills and West be a part of that? At Hills & West, we have been long-time advocates for blurring the lines between work, leisure and fashion. Rather than producing more products to meet profit margins, the curation and creation of sustainable, versatile pieces has been integral to our brand. Today’s consumer wants style with function, comfort and ethics all wrapped into one. The focus has shifted from what’s “on trend” this season to what can be invested in for the long term. As climate change continues to challenge all industries fashion is webbed into (as far down the line as agriculture) so it is our responsibility as makers and shakers to put an ethical heeled foot forward into our fashion futures. To find what feels right for our bodies and our souls. At Hills & West, we do our best to re-purpose what is left from our manufacturing process from creating past pieces into new ones, leftover leather into smaller accessories. At Hills & West, we do our absolute best in creating timeless-capsule-pieces that would keep up with trends for seasons to come. For 2019, Hills & West has season-less dapper essentials for men, accessories for the stylish mum and new colour-ways to brighten up your basics. It will be an exciting year. What we also advocate for 2019 and beyond… is a minimal aesthetic, locally made and sustainable products of the high quality. This will always be on trend! Explore Hills and West today!